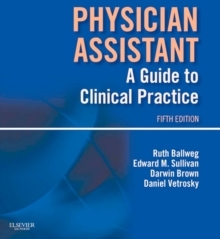 Entering its 6th edition, Physician Assistant: A Guide to Clinical Practice is the only text that covers all aspects of the physician assistant profession, the PA curriculum, and the PA's role in clinical practice. 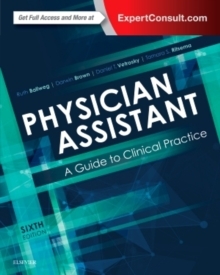 It is designed as a highly visual and practical resource to be used across the spectrum of lifelong learning, enabling students and practicing PAs to thrive in a rapidly changing health care system. 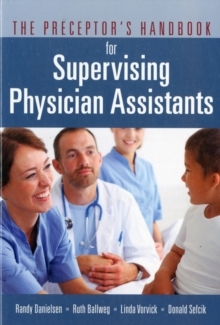 Teaches how to prepare for each core clinical rotation and common electives, as well as how to work with atypical patient populations such as homeless patients and patients with disabilities. A succinct, bulleted writing style; convenient tables; practical case studies; and clinical application questions throughout enable you to master key concepts and clinical applications. Helps you master all the core competencies needed for certification or recertification. Addresses all six Physician Assistant Competencies, as well as providing guidance for the newly graduated PA entering practice. Includes quick-use resources, such as objectives and key points sections for each chapter, tip boxes with useful advice, abundant tables and images, and 134 updated case studies. 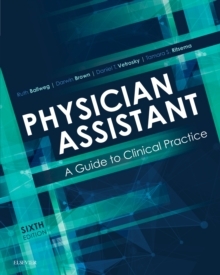 Features chapters for the 7 core clinical rotations and 5 common electives, with key guidance on how to prepare effectively and what to expect. Provides updated health policy information, expanded information about international programs, cultural competencies, and pearls and pitfalls on working internationally as a PA. Outlines the basic principles of Interprofessional Education - an important new trend in medical education nationally. New chapters cover: Maximizing Your Education, Future of the Profession, Principles of PA Education, Managing Stress and Burnout, and many other topics. Expert Consult eBook version included with purchase. This enhanced eBook experience allows you to search all of the text, figures, images, and references from the book on a variety of devices.